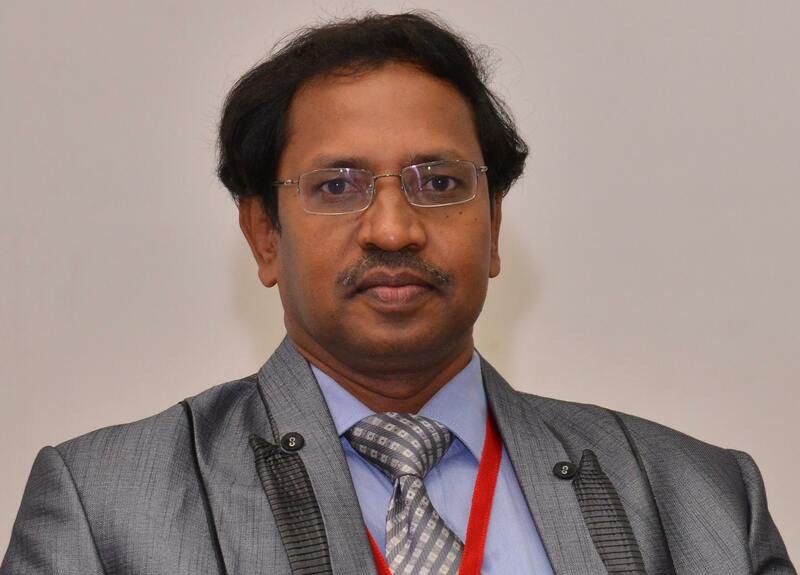 Mechanical Engineering at IIT Madras » Dr. Samuel, G. L.
Dr. G L Samuel received his PhD from IIT Madras in the year 2001. He worked as Post Doctoral Research Fellow at Department of Mechanical Engineering, Kyungpook National University, Daegu, South Korea during the year 2003 to 2005. His research interest includes Conventional and Non-conventional manufacturing, Metrology and Computer Aided Inspection, Micro Machining, CAD/CAM. His publications includes 43 International Journal Papers and 49 National/International Conference Papers. Brain Korea 21 scholarship, Republic of Korea (South Korea), 2004. Won the Best Research Paper award at the International conference on Intelligent Flexible Autonomous Manufacturing Systems – IFAMS 2000, Coimbatore, INDIA, Jan. 2000. Niketh S and G.L.Samuel, (2018) Drilling perfomance of micro textured tools under dry, wet and MQL condition, Journal of Manufacturing Processes, vol. 32, No. 254 – 268. Niketh S and G.L.Samuel, (2017) Surface texturing for tribology enhancement and its application on drill tool for the sustainable machining of titanium alloy, Journal of Cleaner Production, Vol. 167, 253-270. Giridharan A and G.L.Samuel, (2016) Analysis on the effect of discharge energy on machining characteristics of wire electrical discharge turning process, Journal of Engineering Manufacture, iMechE, Vol. 230(11) 2064–2081. Jagadesh, T and G.L.Samuel, (2015). Mechanistic and Finite Element Model for Prediction of Cutting Forces During Micro-Turning of Titanium Alloy. Machining Science and Technology, An International Journal, 19, 593-629. Kalyan. C and G.L.Samuel, (2015), Cutting mode analysis in high speed finish turning of AlMgSi alloy using edge chamfered PCD tools, Journal of Materials Processing Technology, 216, pp146–159. Murugarajan. A and G.L.Samuel, (2015) Characterization of dimensional features of meso-scale component using capacitive sensor, International Journal of Advanced Manufacturing Technology, Vol. 77, pp1831–1849. Denis Ashok S. and G.L.Samuel, (2012), Harmonic analysis based method for separation of form error during evaluation of high speed spindle radial errors, iMechE Part B,Journal of Engineering Manufacture, 226(5), pp. 837–852. Rajamohan G., M.S. Shunmugam, G.L.Samuel, (2011), Effect of Probe Size and Measurement Strategies on Assessment of Freeform Profile Errors using Coordinate Measuring Machine, Measurement, 44, pp. 832–841. Janardhan V. and G.L.Samuel, (2010), Pulse Train Data Analysis to Investigate the Effect of Machining Parameters on the Performance of Wire Electrical Discharge Turning (WEDT) Process, International Journal of Machine Tools and Manufacture, vol. 50, No.9, pp. 775–788. G.L.Samuel, Seung-Han Yang and Young –Suk Kim, (2005), Hybrid Algorithm for evaluation of dimensional error using the data obtained from Laser Vision System, Journal of Manufacturing Systems, Vol. 24, No.2, 122-130. G.L.Samuel and M.S. Shunmugam (2000), Evaluation of Circularity from coordinate and Form data Using Computational Geometric Techniques, Precision Engineering, Vol. 24, No. 3, 251-263.